Wooden Chinese hair sticks adorned with white flowers and oriental blossoms. 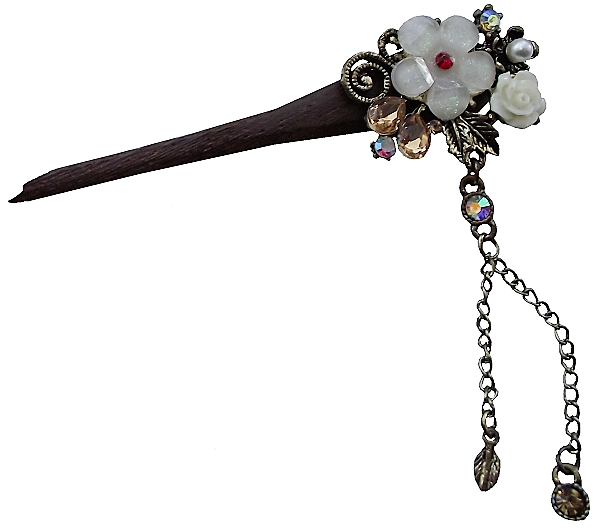 The hair stick is embellished with sparkling smoky quartz faux gemstones and a oriental style ornamental tassel. 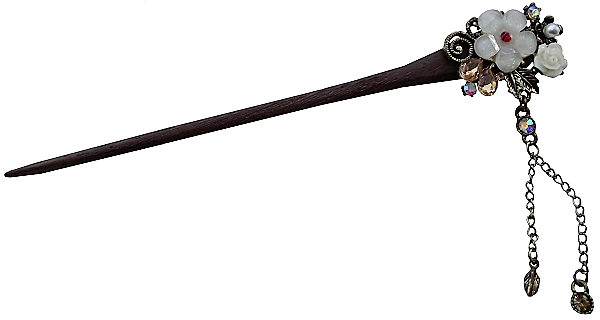 The Chinese hair sticks are made from a dark colour soft wood and are perfect for wedding day wear, prom nights, or simply for everyday use.